Challenge and TNA Entertainment have joined forces for a historic announcement – teaming up to deliver TNA’s first ever wrestling programming specifically designed for a family audience. An all-new version of TNA Xplosion will air weekly on Challenge from Saturday May 31 at 9am. 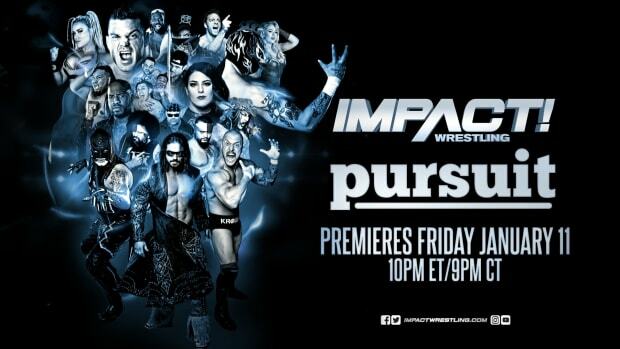 The show has been reformatted with families in mind and to purposely differentiate itself from TNA’s flagship post-watershed programme IMPACT WRESTLING. Xplosion – which is hosted by Jeremy Borash and features a mix of new matches, classic bouts and the hilarious ‘Spin Cycle’ panel debates – will also continue to be shown in its current late night timeslot of 11pm on Wednesday evenings. TNA IMPACT WRESTLING is broadcast every Sunday at 9pm. Challenge can be viewed across the UK and Ireland on Sky (145), Freeview (46), Virgin Media (139) and Freesat (145). TNA President Dixie Carter said: “Xplosion moving to Saturday morning on Challenge is a strategic and natural evolution of TNA programming, as our product resonates with fans of all ages. “Families with young children are always strongly represented during TNA’s annual MAXIMUM IMPACT Tour. I am confident with the new format and time slot of Xplosion we will continue to attract new fans, particularly kids. “Ask any TNA Superstar and they will tell you, there is no greater feeling than seeing the eyes of a child light up when he sees his favourite wrestler in action. Stephen Ladlow, Director of Challenge, commented: “As the exclusive home of TNA in the UK and Ireland, it’s great to be able to bring TNA to a whole new audience with our new family friendly show. Jeremy Borash added: “TNA&apos;s awesome fans across the UK and Ireland can expect Xplosion to showcase their favourite TNA Superstars each week, with an emphasis on two of the most popular types of matches, X-Division and the Knockouts. TNA also have a special Family Package for all those wanting to attend the MAXIMUM IMPACT 7 Tour, which comes to Glasgow, Manchester and London in January 2015. Anyone buying four tickets together (maximum of two adults) can enjoy a 20 per cent discount on the standard ticket price.